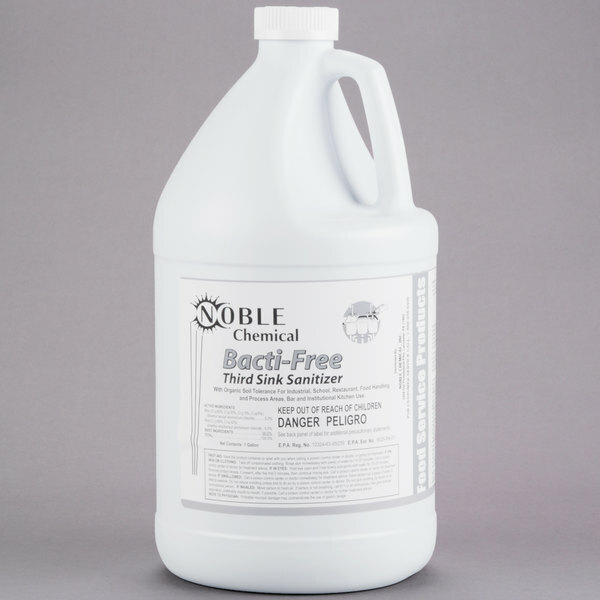 This Noble Chemical bacteria-free, third sink sanitizer is the perfect sanitizer for any three-compartment sink. It is intended to disinfect and deodorize utensils, cutting boards, trays, or any other surface that frequently comes into contact with food. It is effective against bacteria that may cause salmonella and staph infections. Any items small enough to fit in your sink can simply be left to soak in the sanitizer-filled third compartment. For any object that is too large, the sanitizer can be applied by a cloth, mop, or mechanical sprayer.